Wildfire season in California has only extended as rainfall becomes fewer and further in between. We have all seen the divesting aftermath of a wildfire and we encourage everyone to be prepared because wildfires are unpredictable and can spread in 30 seconds or less. In the case of a wildfire, it is crucial that you are able to grab your belongings quickly and they are easy to load in the car. The following items should be kept together near where you normally exit your house, like the front door, side door, or garage door. Important Files: Technology is only great when it works; rely on the technology as little as possible in the case of a fire. If you have paper forms of your home or renter’s insurance, pack them and consider back up disks, USB drives, paper contact list, photo CDs and photograph albums. Emergency Supply Kit: This should include water (1 gallon per person), a three day supply of dry and canned food per person, flashlight, a portable radio, first aid kit, batteries, a manual can opener, and sanitation supplies. If you have room, consider a couple of blankets and pillows in case you need to spend the night at a shelter. Special/ Valuable items: It may not be reasonable to keep every important thing to you in a box if they are used often or out as décor. In that case, make a list of a few valuable items and keep the list on top your prepacked items so you see it right away. Pets: If you have pets keep carriers (if applicable), extra leashes, food, and water (and a bowl), litter boxes, litter and any medications as needed with your prepacked items. Once your pet is secure, be sure they are secure on the trip from the house to your car. It is this few seconds when pets typically are in fear and able to run away. 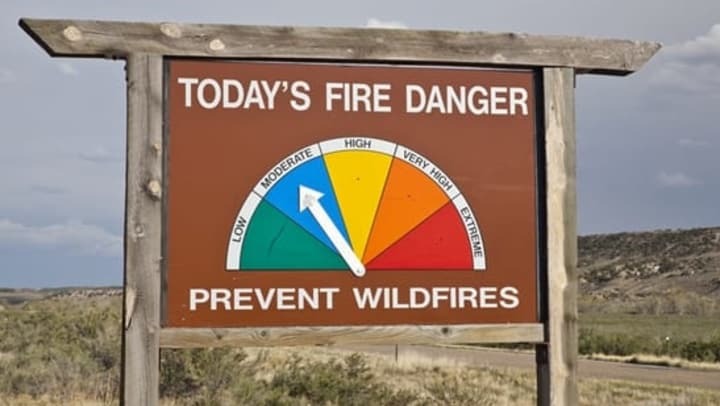 In any fire, situation remembers to always listen and consider officer recommendations, evacuate early, and keep your items packed at all times in case you ever find yourself in a situation of high winds and little time to evacuate safely. For more information on prevention, preparation, safety, and fire updates visit National Geographic or Cal Fire. We hope that you are never put in this situation, but we urge you to be prepared in case of an emergency.